The COMPANION is built on the RONDO tree. 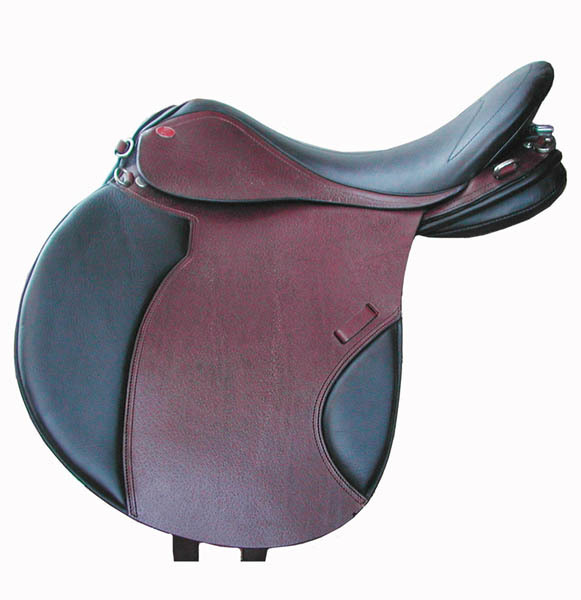 This is the BEST fitting saddle of ANY brand for your table-backed, low withered, round horses. Such as Morgans, Tennessee Walkers, draft and draft-crosses amongst many others. 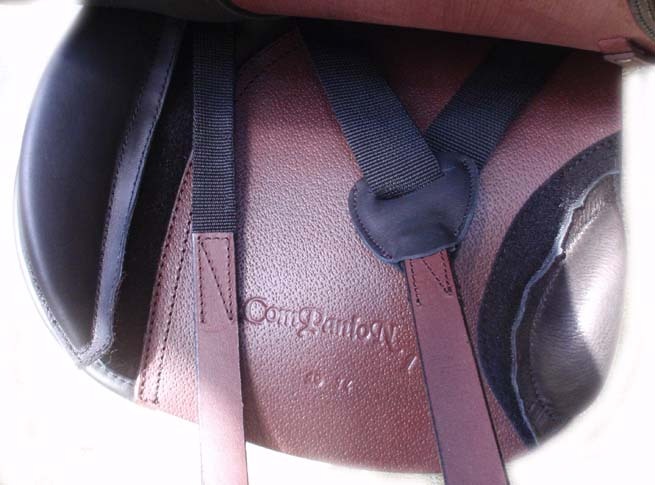 We’ve had tremendous success fitting this saddle to horses that have not been able to be ridden with any saddle because they couldn’t find the proper fit. This is your solution! Wide panels distribute the rider’s weight over a large area removeable/moveable knee AND calf blocks give the utmost in flexibility to the rider remove the blocks for closest contact, or change the angle! NOTE: This saddle works well for Icelandics and other gaited horses. In addition, with the movable knee block, it’s easy to move the block back towards your knee and keep a nice, straight leg. Or, take the big front block off and move the little block forward, allowing more room for your leg or for shorter stirrups. We have sold lots of Companions to mounted police in various cities (yes, it’s that comfy!) 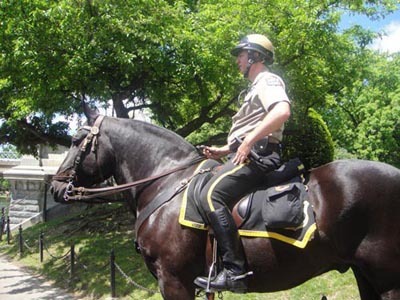 and we recently noticed a police officer in Boston riding in one of our saddles. I’ve been using this saddle for 10+ years on my Haflinger Gelding and it’s been wonderful. Very comfortable for long rides too. Fits my two Icelandic’s like a dream ( one is short backed and wide… Hard combo to fit). Super comfortable from day one. No rolling even without a pad ( tested it). 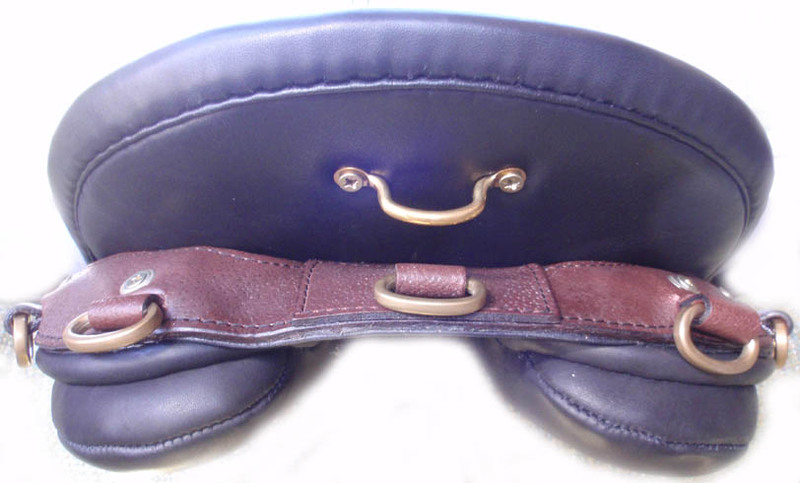 I always feel secure in this saddle. Both of the girls are like the princess and the pea with their tack and don’t mind this saddle. They are natural tolters and this saddle allows for it. This is the 10th year of using this saddle —- on my draft X & my Tenn Walker. Fits both well & I find the saddle comfy. I love my Companion in a 20″ seat so much I bought a second one in a size the barn girls can use. My Friesian cross had SI joint and hind end weakness, so I will not compromise her health and comfort with any ‘ol saddle, or just throw on some more pads and shims. Duett helped me fit the horse based on tracings, trial saddles, and plenty of pics. I like the adjustable blocks and it feels comfy to ride in. I recommend this company for table backed horses. 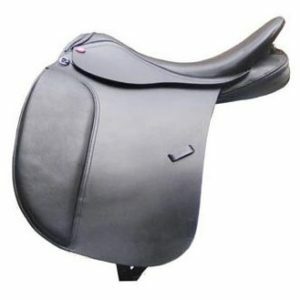 Quality and best price on a specialized wide tree saddle. There is a reason used Duetts are hard to find and hold their value! I bought this saddle for my belgian with a super wide back and no withers. It fits him perfectly. It is really comfortable for me and well balanced. I love it.